Forty-one securities brokers filed Suspicious Activity Reports (“SARs”) regarding Marijuana Related Businesses from February 2014 through July 1, 2015. The count includes securities firms that terminated marijuana accounts. 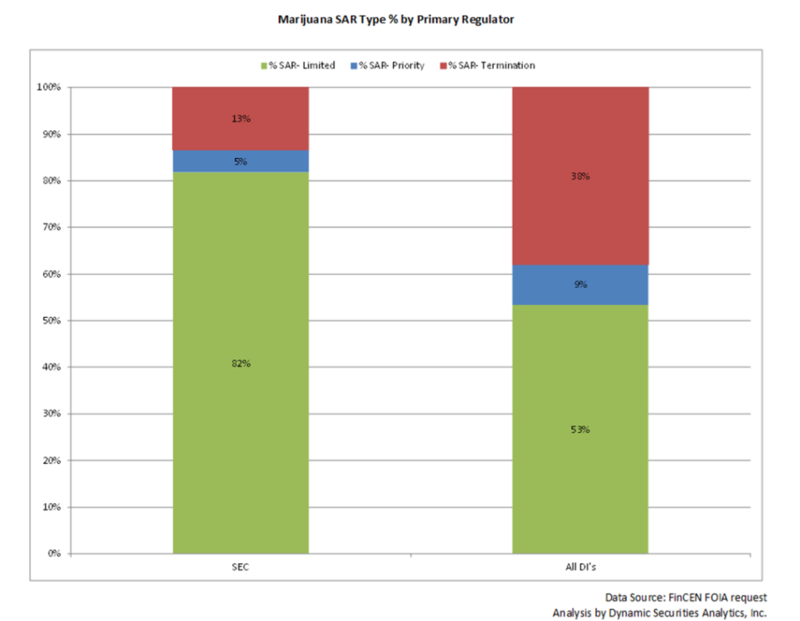 Securities brokers accounted for 8% of the financial institutions filing marijuana SARs. 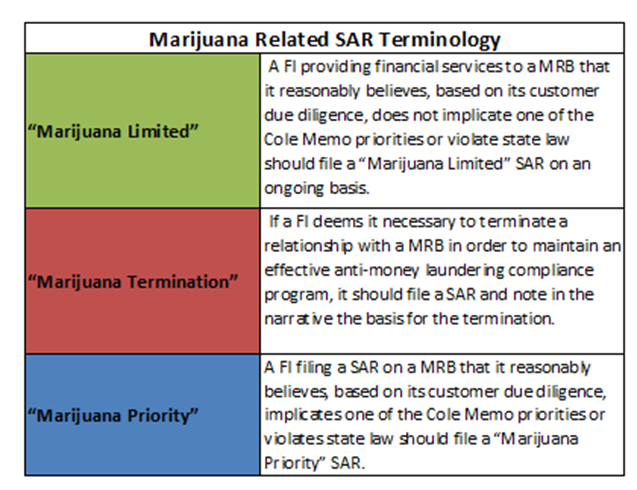 The marijuana-related SAR data was provided to Dynamic Securities Analytics (“DSA”) by FinCEN per a FIOA request. Had a significantly greater percentage of Limited (82%) filings compared to Depository Institutions (53%). Read more about Depository Institutions in the related blog post New Marijuana Banking SAR Data has International Implications. In summary, these numbers seem to indicate a greater willingness by SEC-regulated FIs to work with and service marijuana-related businesses compared to FIs supervised by other federal regulators. The Wall Street Journal reported that the SEC allowed share registration for a company “whose business model includes the cultivation and sale of marijuana.” Furthermore, the Marijuana Index, which tracks listed companies in the marijuana sector, includes 150 companies in its Global Composite Constituents Index with a combined market value of $5.6 billion. The SEC also released an Investor Alert regarding Marijuana Related Investments.